When you install WP Super Cache on Linux hosting most of the configurations are working out of the box. In case of IIS / Windows hosting out of the box .htaccess doesn’t help you much. So here are the steps to be performed to make sure it boost your site up. Step 1: Go to the root folder of your website where you have installed WordPress, check if you have web.config if its there insert the rule below under rewrite rules if not create new file web.config file. Now once this is done you are nearly finished. Make sure max-age value on Garbage Collector and web.config matches. Just start preload and you are all set! I’m very grateful for you creating this as it was a great place to start for me. A couple of things I found with your sample addition to the web.config file. First thing to note is that the HTTP_HOST server variable does not exists in IIS, and it should be SERVER_NAME. Also I discovered that the SERVER_NAME variable should be preceded with the percent symbol, %, otherwise on occasions with some pages, the browser (esp. Firefox) thinks some pages are of type ‘application/octet-stream’ and asks what to open it with. To be honest, I’m not entirely sure why that is, or what the % does, but including it prevents this issue from occurring. 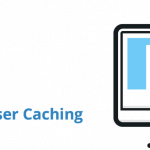 The final thing to note is that WP Super Cache saves files with an -https suffix if the website is being served over Secure HTTPS protocol, so index.html becomes index-https.html. Hope this helps, and thanks for posting this.